There are many types of milk shakes with different types of flavours. 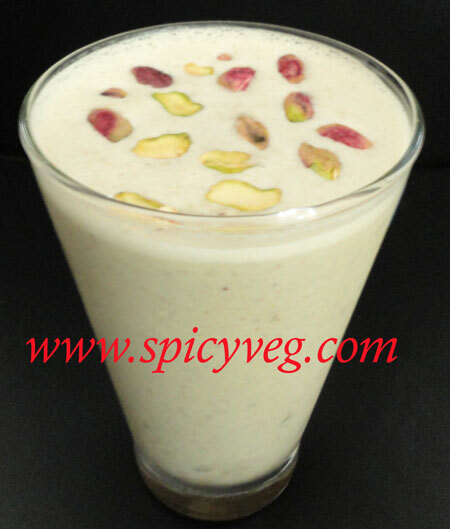 This healthy milkshake is made with Pistachios,Dates and honey. 1.Place the pistachios adn dates in a blender, cover, and pulse several time to coarsely grind. 2.Add 1 cup milk and blend until smooth. 3.Scrape down the sides of the jar with a spatula to free the nuts. 4.Slowly add another 1 cup milk,honey and blend for 1/2 minute. 5.Add the Ice cubes to the mixture and blend again. 6.Serve chilled in a tall glass.